The Commission will unveil its Neighbourhood and the World Instrument, merging the bloc’s external spending into a single instrument. EURACTIV understands that the proposal is set to assign around €9 billion to migration-related spending, with the money to be drawn from across different budget lines. That has prompted concerns from NGOs that this figure could be subject to political horse-trading among governments. The Commission insists that the next seven-year budget will significantly increase the amount that the bloc spends on development, proposing to allocate a total of €123 billion. That will include the €30 billion European Development Fund, which had previously been an instrument controlled by member states outside the EU budget. However, civil society groups fear that the MFF will see the EU downgrade its development priorities in pursuit of any measures that will reduce the number of people from Africa and the Middle East seeking to reach Europe. The EU executive insists that migration control can be justifiably considered as a tool in development. 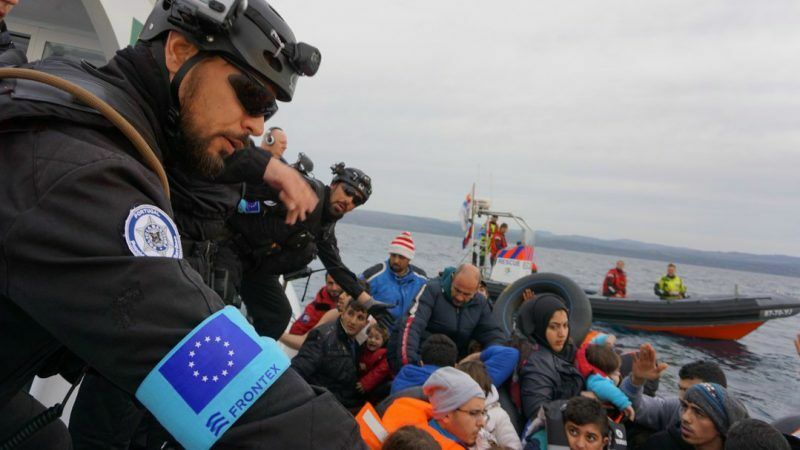 “Addressing the root cause of migration is clearly part of development policy,” a senior Commission official told EURACTIV. “Development policy has a clear focus on poverty eradication but it does not stand in isolation,” the official added. Other spending will be divided by region and policy themes – spending in sub-Saharan Africa is set to see the biggest increase, from €26.1 billion to €32 billion, according to documents seen by EURACTIV – with a pot of cash available to cover ‘rapid responses’ to humanitarian disasters and crises. Around 11%, worth around €10 billion, will be left unallocated, EURACTIV has learnt. That is less than the 20% unallocated reserve in the EDF, which the Commission says is important to ensure that the fund has sufficient flexibility. Meanwhile, around €18 billion will be allocated to social and human development over the 7 years. At least 92% of the total spending will be ‘DAC-able’ – meaning that the Commission will be able to count it as Overseas Development Aid (ODA). However, this figure could change because of new OECD rules on what migration-related spending can be classified as aid. “The DAC-ability of the proposal is something to look at,” the Commission official conceded to EURACTIV. But despite their misgivings, some civil society groups fear that being overly critical of the Commission proposal could lead to national governments using the criticism as an excuse to slash the development budget. “We need sufficient flexibility in the EU’s new external financing structure to ensure the EU can respond to urgent and unforeseen needs without hampering long-term development plans. But above all, we need a proposal that ensures that the primary focus of EU aid is poverty eradication,” said Emily Wigens, Interim Brussels Director at the ONE campaign. While member states are quick to defend agricultural subsidies and cohesion spending in the EU’s poorest regions, the bloc’s external spending is unlikely to be a priority for many capitals. With EU budget commissioner Gunther Oettinger proposing cuts to both the Common Agriculture Policy and cohesion, many in the development community fear that governments will try to claw back some of the cash through cuts to development spending. Others say that the member states could also block the budgetisation of the European Development Fund. Elsewhere, the European Fund for Sustainable Development is also set to be beefed up, with the Commission promising that it will be able to guarantee up to €60 billion of investments.